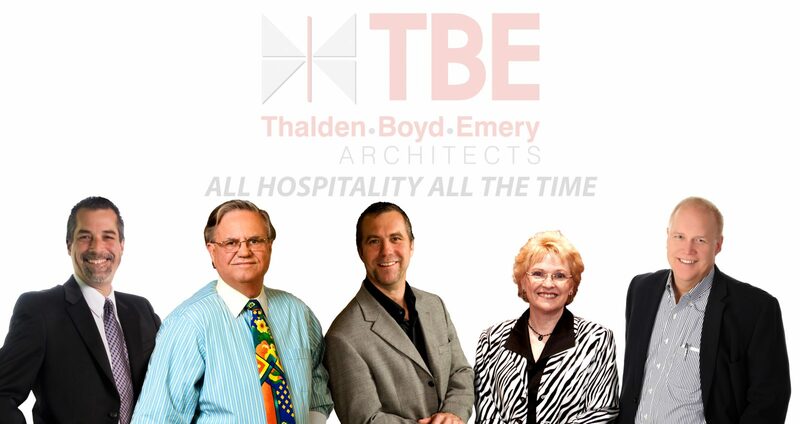 TBE Architects (Thalden Boyd Emery) has been providing design and architectural services for over 45 years. They specialize in the design and architecture of hotels, casinos and related hospitality projects. Their extensive background includes work on over 400 hotels and more than 200 casinos. During the past seven years, the firm has been the architects for more than $2 billion in casino projects in the United States and Canada, and has been ranked as the one of the largest hospitality design firms in the country. Our services include architecture, master planning, engineering and interior design. Our staff is comprised of inventive designers/architects, accomplished planners, and imaginative interior designers who are extremely knowledgeable in the development of hospitality properties. Our entire approach is based on creating unique and exciting visions, and bringing those visions to life. The firm has been recognized as the architects who design themed casinos/resorts. Whatever our client chooses, we will work to bring the project to life. We change ordinary to extraordinary. Most importantly, however, is our philosophy. What we bring to a client’s project is our experience, creativity, and integrity. Our reward is the joy we get from our client’s success.